It’s Friday (clap) (clap) today is Friday! Woo! Yes, you are correct, we just participated in a cheer together to get Friday started off RIGHT! I hope you are ready. We are so excited to kick off another fun series here on the bloggity blog starting….today. 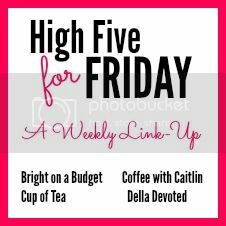 Every Friday here on MWOA we will now be sharing our 5 Things on Friday. We are super pumped about this fun little tidbit because well, there are actually 5 reasons why we are excited. 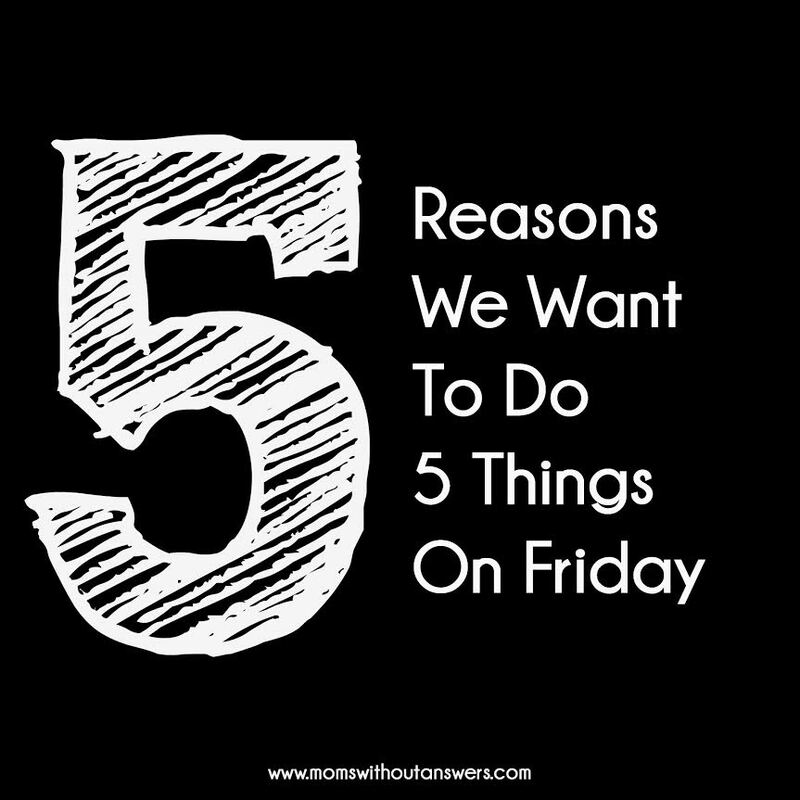 So, here it is….5 Reasons We Want to do 5 Things on Friday! We love friends here at Moms Without Answers. Heck, we are friends! But, because we LOVE friends so much and you can never have too many we want to use our 5 on Friday to connect with new Moms and friends. In order to make friends you have to put yourself out there and we are going to do just that! What would a 5 on Friday be if we didn’t share our 5 Favorite Things with you for the week? We will share all kinds of faves from favorite products, favorite recipes, favorite child (I kid) and so on. And we of course will also be sharing with you some of our most favorite bloggers that you MUST be following! What’s a Faves list without a NOT so Faves? This is our spot for a quick vent if you will. We can share a little Jack-hole of the week, get any yuckiness from the week off our chest and all move forward into the weekend together. You know you are secretly looking forward to this part of 5 on Friday the most! We don’t do this enough and so here it is! By getting personal we mean we will do just that. Share with you snippets from our lives. Share with you what’s going on in the everyday. You know, give you a little piece of ourselves so we can all continue to grow in this internet relationship together. We are going to link up to some of our favorite link ups around. If you are new to what a link up is, it’s a place where bloggers create similar posts and share them in one space. It’s a great place to go find new blogs to read and to….make new friends. Please reference number 1 on this list, Make New Friends! So, come on over and check out where we are linking up today. Michelle and I could not be more excited about all of the new fun things we have going on here on MWOA. We love this blog and we love the community that is continuing to grow from it. If you missed it earlier this week be sure to check out our new Wednesday series as well True Life: Motherhood where we uncover the everyday realness of motherhood, the good, the bad and the ugly! HOORAY! I’m so glad you all are joining us at H54F!!! So excited to have a funny pair of moms over there. And YT’ers to boot. This is why I love linkups – I get to find new-to-me bloggers. So glad we can connect. Hope you’re having wonderful weekends!